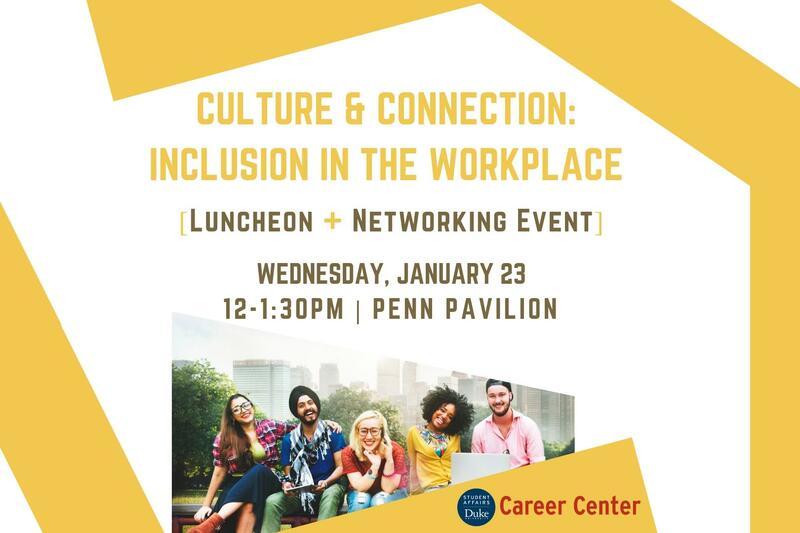 The Career Center is launching a new series of luncheons designed for students and employers to chat and discuss various topics around diversity and inclusion in the workplace. During this kick off event, you will get an inside look at what an inclusive organization looks like to our participating employers and learn how companies value and integrate diversity and inclusion within their organization. You will also learn about the recruitment process and job and internship opportunities within each company. This event is open to all undergraduate and graduate students, and lunch will be provided. Students are encouraged to dress business casual and bring copies of their resume to share with employers during the open networking time.